The Cleveland Police are searching for a suspect who self-proclaimed to have shot and killed at least one man live on Facebook Sunday afternoon. The suspect has been identified as Steve Stephens 6 foot 1, weighs 244 pounds and is bald with a full beard. He was last seen driving a white Ford Fusion with temporary tag E363630. The suspect was last seen wearing a dark blue, and gray or black striped polo shirt according to descriptions. Here in a video, we can see him claim to have killed 13 people, which makes the total number questionable. The Cleveland Division of the FBI has been called in and is assisting in the ongoing investigation and manhunt. Stephens is considered extremely armed and dangerous if seen notify authorities immediately. The Mayor Frank Jackson and Chief of Police Calvin Williams are expected to give a press conference shortly. Williams has said that Stephens needs to turn himself in. “Everybody is out there looking for Steve,” he said during a press conference Fox reported. He added that there are no other victims that they know of contradicting Stephens own claims that he murdered 14 other people. A Youtube Livestream showed the potential suspect being pulled over by authorities but was later deemed not to be the man. UPDATE 4/17: Police are still looking for Stephens and are also still investigating the case. The mayor and chief of police have both spoken on the matter. The chief of police is calling for Stevens to turn himself in, and the mayor has said that they are communicating with him and that he will be caught. Police have warned that misinformation is being spread on Stephens and have urged the media to use its Twitter feed for up to date accurate information. Please stay tuned to @CLEpolice feeds for accurate and updated info. Misinformation in emergencies is dangerous. All press releases posted. 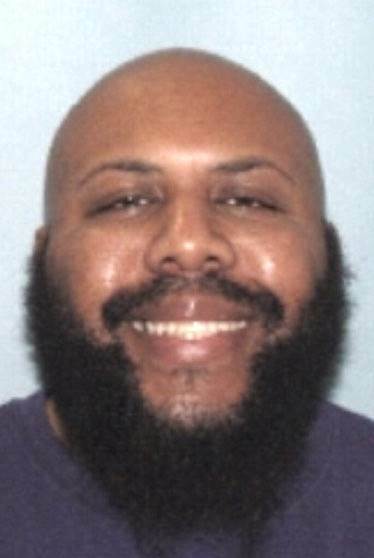 Another press conference was issued at 9 A.M. EST where Police Chief Calvin Williams gave an update into the manhunt of Steve Stephens. He stated that there was no additional victims linked to the Facebook incident as of now and the suspect’s location was unknown. Although KDSK reported that Stephen’s phone was pinged and the location returned was Erie, Pensylvania. Police have declared a national search for Stephens. “This is now a national search for Steve. We will leave no stone unturned,” Chief Williams said.